I’m currently working on a series of posts about some of my favourite spots in London, and while most of them are indeed food-centric, this one is more about feeding your inner beauty addict. 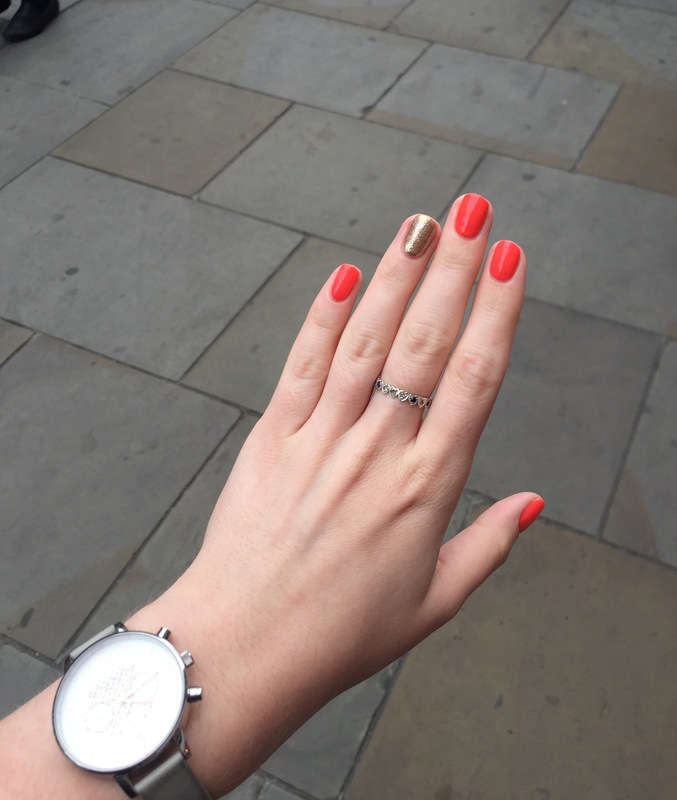 Shortly before I moved to London I had my nails done at a place back home. 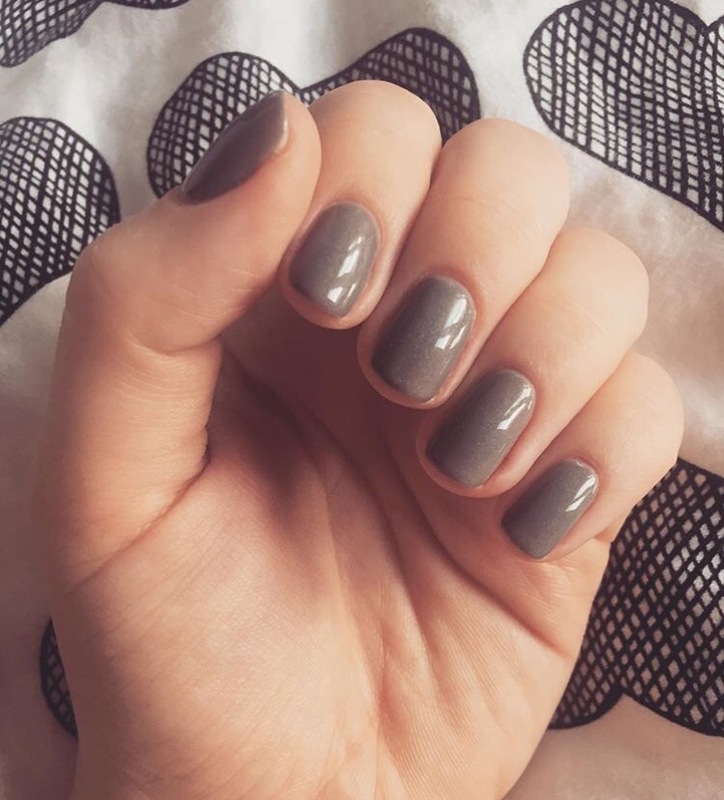 Within a few days, they’d chipped, and the £35 I’d spent on my artistic gel manicure felt like a waste. 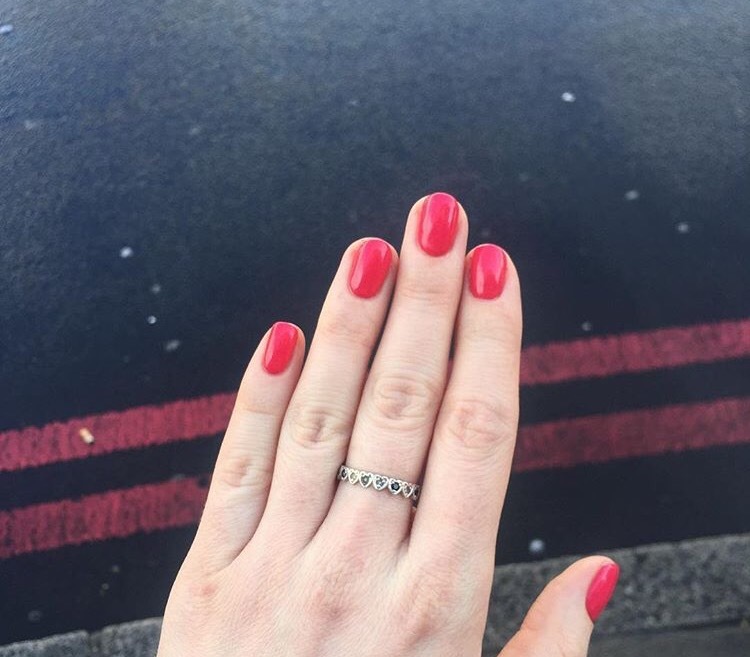 Not able to go back to the salon to get them fixed, I rang Jade Angel (just down from Oxford Circus) and explained the situation to Jade herself. She squeezed me in that evening after work, and that particular manicure lasted for weeks. Not only that, but it was cheaper than my previous outside-of-London salon, and I felt so at ease during my first ever visit. Needless to say, I’ve been back a few times since. 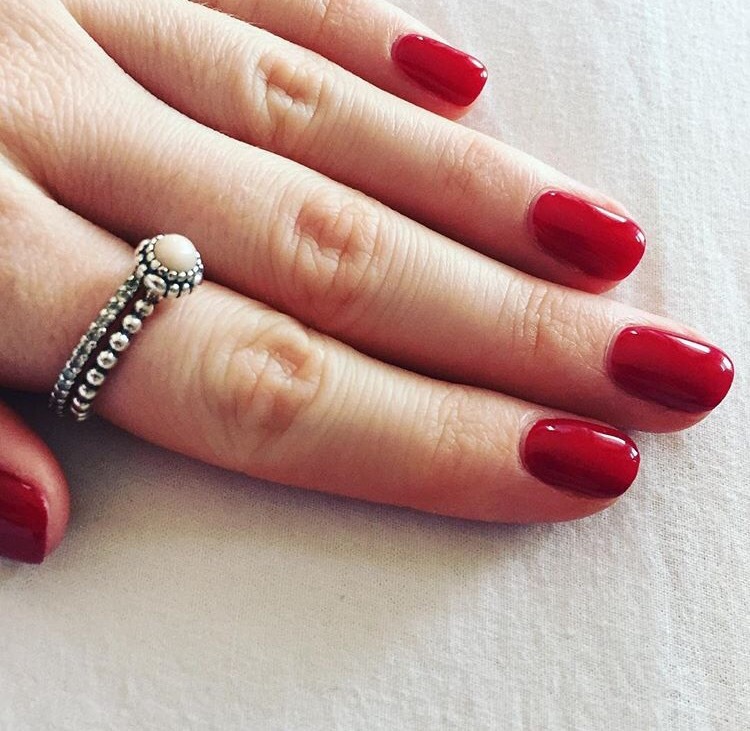 The colour above is It takes tulips to tango by Artistic Nail Design (it’s hard to find places which do Artistic rather than Shellac- I’ve always preferred it), and it was recommended to me by Simona, one of the lovely ladies who works with Jade and has done my nails 3 times now. I never thought I’d go for grey, but Vogue, above, almost seems to change under different lighting conditions. One moment it’s grey, the next it’s brown and then purple. Below is possible my favourite of all the ones I’ve tried so far and the one for which I’ve had the most compliments: Woman in the mirror. 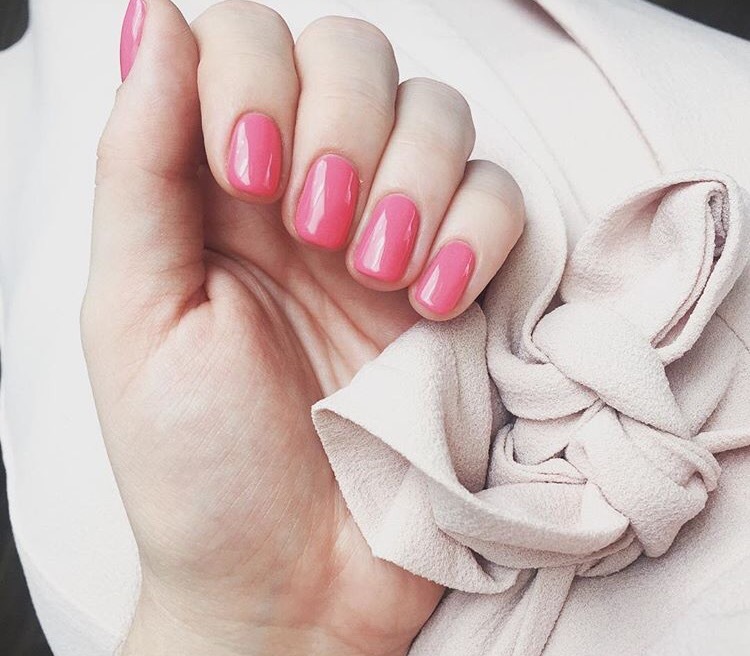 I’ve also started having IBX treatments when I go to get my manicure done (long story short, it’s a way of strengthening nails), and I find that it helps the gel stay on much longer than when it’s applied to bare nails. Don’t just take my word for it; give the salon a call and book in for your first appointment with the ladies. I think you’ll be just as impressed as I still am not only by the service, but by the warm, friendly welcome you’ll receive whether it’s your fifteenth visit, or your first. You can find Jade Angel’s website here.